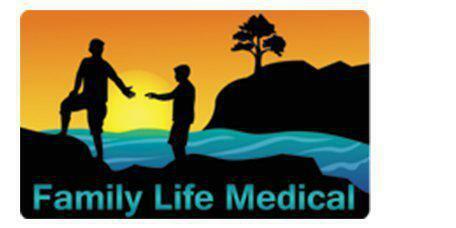 Wellness exams at Family Life Medical in Conroe, Texas are an essential part of patient wellness now and in the long run. This type of exam is an excellent opportunity for Dr. Kyle Scarborough to check on chronic conditions and to identify conditions in their early stages before they become serious. It's also a great chance for patients to ask questions and get support. What do wellness exams include? A wellness exam can be customized for a patient's age and gender. The exam typically includes a full body exam, an EKG to evaluate heart function, and blood tests. Wellness exams are geared toward identifying the type of conditions that can be prevented, managed, or otherwise dealt with in their early stages. When patients have risk factors for certain diseases or conditions based on their lifestyle, family history, or diet, Dr. Scarborough can work with the patient to address these issues. Why are yearly wellness exams so important? Yearly wellness exams are the ideal way for a patient and Dr. Scarborough to form a strong connection that helps with total health and wellness, now and in the future. Dr. Scarborough does a complete assessment of the patient during the exam, taking note of any new developments since the last examination. Sometimes those changes can be very subtle, often too subtle to cause any symptoms. Wellness exams can sometimes allow for the identification of illness or disease before the patient even starts to suffer. Diagnosing a problem in the early stages can allow the patient to either prevent the illness or disease entirely or to start treatment quickly. Wellness exams are also important because they offer an opportunity for the patient to get lifestyle counseling. For example, Dr. Scarborough may note that a patient has several risk factors for diabetes during their wellness exam. He can then recommend lifestyle changes to help the patient avoid diabetes. Does insurance cover wellness exams? In most cases, insurance companies cover wellness exams, but there may be some differences from one company to another regarding the exact services they cover. Most insurance providers cover blood and cholesterol tests. Screenings for heart problems, including EKGs, are also covered by many insurance companies. The majority of insurance providers cover wellness care because it can help prevent bigger problems down the road.